There are over 113 active cannabinoids found in the cannabis plant. Among these, tetrahydro cannabinol (THC) and cannabidiol (CBD) are the subject of ongoing discussion and intense research. While most people are familiar with the psychoactive effects of THC, the lack of intoxicating effects of CBD makes this compound an attractive candidate for medicinal uses such as the treatment of epilepsy, neuropathic pain, and chronic inflammatory conditions. The surge in applications for the approved usage of cannabis has increased the need for improved purification and detection of cannabinoids. High performance Liquid Chromatography (HPLC) is the industry standard for cannabinoid extraction, but Centrifugal Partition Chromatography (CPC) offers a cost effective alternative with comparable yields and purity. Below we describe how each method works and what differences to take into consideration during cannabis testing. 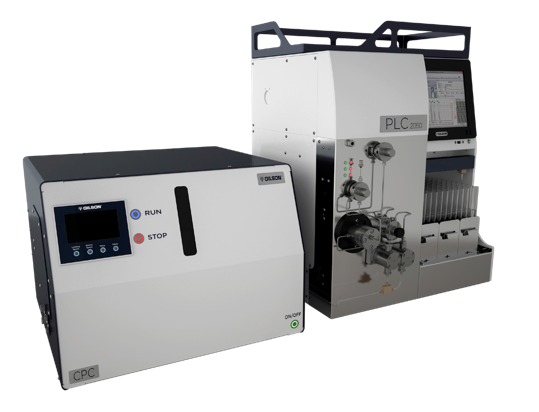 HPLC is a powerful tool capable of either compound identification (Analytical HPLC) or sample extraction (Preparative HPLC) from crude mixtures. Preparative HPLC uses a mobile phase that carries the mixture through a stationary phase, where individual components are separated based on particle size or other physical properties. As the samples leave the column they generate a signal (peak) from the detector and can be collected as fractions. HPLC columns packed with silica-resin are well suited to separate cannabinoids from a crude slurry of cannabis leaves. The purification parameters are highly controlled, minimizing the need for troubleshooting or optimizing protocols. The major disadvantages to using Preparative HPLC are cost of stationary columns, volume of reagents, and run times. Since the choice of HPLC columns is highly specific to compound size, the correct silica resin is required for cannabinoid isolation. This column requires frequent replacement for cannabinoid extraction since the crude extract is notably sticky. This setup requires large volumes of solvent to mobilize and collect the purified fractions, which can increase costs over time, especially in large scale preparations. HPLC produces excellent yield and purity, but require longer run times and more reagent consumption for operation, which can impact efficiency. HPLC remains the industry standard for cannabinoid purification, but CPC offers a highly effective alternative for extracting cannabinoids. CPC is a liquid chromatography technique where the immiscible mobile and stationary liquid phases are combined to form a two phase system. CPC is a silica free separation technique in which the stationary phase is maintained by centrifugal force inside the CPC column. Cannabinoid extraction is achieved by injecting a crude mixture and pumping the mobile phase through the intricate network of extraction cells inside the column. Compounds are separated based on their partition coefficient in the solvent system. Selective extraction of cannabinoids is fine tuned by varying the composition of the two phases to achieve the ideal partition coefficient. This rapid and reproducible method for purification requires little solvent with an extremely high rate of recovery, making CPC ideal for large scale production scalability. 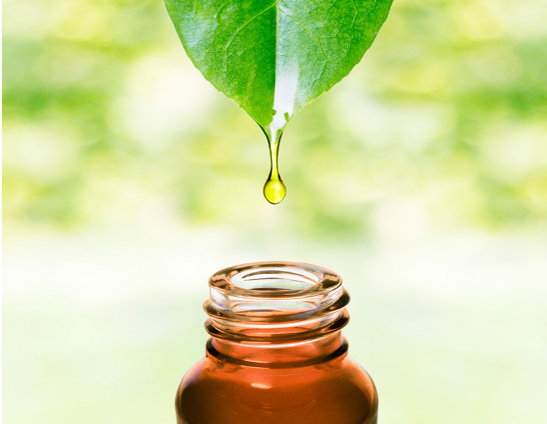 While CPC columns are relatively high priced, a single column can be used (and re-used) for multiple materials ranging from synthetic mixtures to complex natural extracts. The overall process requires less reagents, making CPC an extremely cost effective technique compared to HPLC. The scalability, efficiency, yield, and cost effectiveness make CPC an attractive choice for users studying cannabinoids, but just as with any technology that is new to a laboratory, CPC will require some method optimization and SOP development. Cannabis testing for research and medicinal use is a growing field and requires cost effective purification with high yield. Being informed about HPLC and CPC systems can help you choose the right method for your cannabinoid extraction needs. Learn More about HPLC and CPC. PLC Purification system shown (right) with Centrifugal Partition Chromatography column (left).